Restraining orders are a mixture of family law, civil law, and criminal law. There exists a need for a true trial attorney to represent your goals. 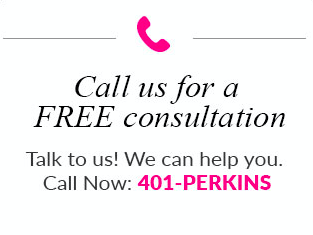 Susan T. Perkins prides herself in helping those in need of legal assistance, advice, and guidance. As such, Susan aggressively handles temporary and permanent restraining order filings and hearings in Rhode Island, Massachusetts and Connecticut. Susan T. Perkins aggressively pursues Court orders on behalf of those who are victims of domestic violence and/or civil harassment and need protection. She also defends against any temporary restraining order sought for frivolous or unlawful purposes. There are numerous forms, many of which are very complicated, that must be properly filled out and filed with the Court to obtain a temporary restraining order in Connecticut, Massachusetts and Rhode Island . As such, Susan T. Perkins is devoted to representing your interests to the best of her abilities. After the TRO hearing, Susan T. Perkins prepares for the permanent restraining order hearing, which is a hearing (mini-trial) where both sides put on evidence and witnesses. There are many different types of restraining orders. For example, a civil restraining order is designed to protect victims of unlawful violence, threats of violence, or conduct that seriously alarms the victims. Domestic violence restraining orders help protect families who are suffering from domestic abuse. This could include sexual assault, threats, bodily harm, and more. An elder abuse restraining order can is issued if a person over the age of sixty-five has been abused or feels threatened. This could include emotional abuse, physical abuse, financial abuse, neglect, or sexual abuse. Get the proper court to fill out the paperwork, including an affidavit, this is your sworn statement. A judge will review the order and make a decision based on the facts. If you would like to extend your restraining order past 21 days you will have to attend a second hearing and face your acuser. Restraining order are serious matters. You’ll want to take the necessary steps to deal with a prospective restraining order. Follow these steps to give yourself the best chance at defending against a Rhode Island Restraining Order. If someone files a restraining order against you, the first step you will need to take is to follow the temporary restraining order. You will be served a note with instructions and limitations. Take these into consideration and follow the guidelines, such as not contacting the petitioner. Even if you feel the restraining order is unjust, follow it to avoid additional penalties. In the meantime, contact a Rhode Island Restraining Order Defense Attorney so they can help you prepare for the permanent order. During this time, you and your Rhode Island Restraining Order Defense Attorney will gather evidence of any incidents relating to the petition. This can include items such as clothing, videos, photos, correspondence and objects. Think of any and all possible witnesses that may have information about the event who can testify on your behalf. Items of evidence are useful in the court system. If the petitioner has made any false claims against you, then you can testify against such accusations. Phone records, emails and witnesses can testify on your behalf and may play a key role in having the restraining order lifted. Even if you think certain evidence might hurt you, do NOT destroy it. This will cast you immediately in a suspicious light with the court and the jury. This will give them a bias opinion before trial even begins as well as the possibility of leading to other criminal charges. Under no circumstances are you to try contacting the petitioner in any way. If you wish to negotiate and reach an agreement, call a Rhode Island Restraining Order Attorney who can mediate a conversation between you and your petitioner’s attorney. Adhere to all requirements of the restraining order. If you violate any of the terms, the petitioner has the right to use it against you at the permanent hearing or file another motion against the violation. If you find yourself in a situation involving a restraining order, please contact Rhode Island Restraining Order Lawyer Susan T. Perkins at 401-737-5467 for a FREE consultation.